Heat the oil in a large saucepan and sauté the onions until softened for 1 min. Add the potatoes and stock and bring to the boil. Reduce the heat and simmer gently for 20 mins. Add the peas. Roughly chop the wild garlic and mint leaves and add to the pan, simmer for 5 mins. Remove from the heat and allow to cool slightly then purée. Return to the pan and reheat gently. Season to taste with salt and pepper and ladle into bowls. 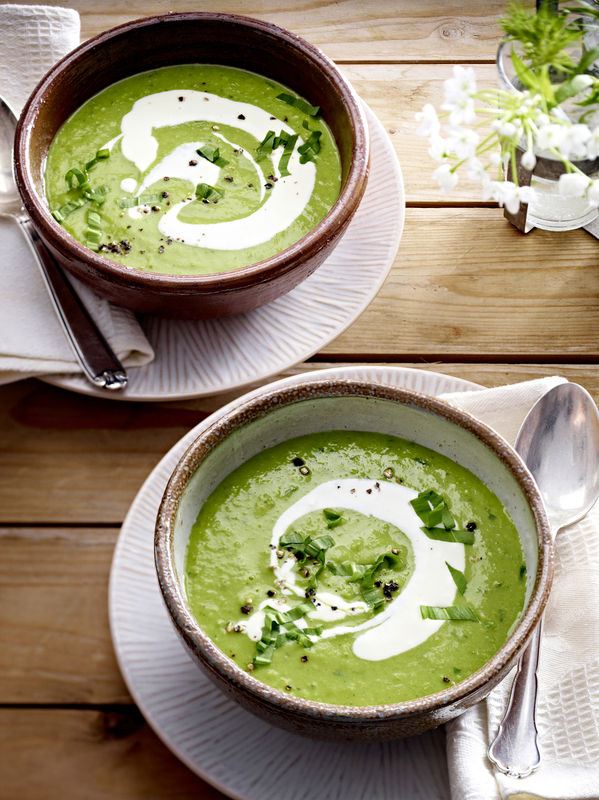 Serve topped with a little cream and wild garlic leaves to garnish.